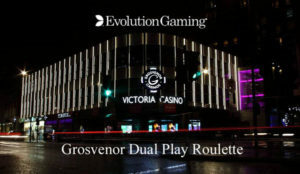 Grosvenor Dual Play Roulette table goes live from the Victoria Casino. Grosvenor Live Casino has added Dual Play Roulette from its land based casino “The Victoria”, which is located in Edgware road, near Marble Arch in Central London. 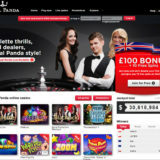 The table went live following the announcement by Evolution Gaming on the 3rd October and is already proving popular with online and land based players. I’ve produced the following video review so you can get a feeling of what the new table is like. Grosvenor Dual Play Roulette complements the already extensive range of live casino tables and games from Evolution Gaming. The dedicated Grosvenor studio in located in Malta with the Dual Play Roulette fitting nicely into the existing table choice. Table stakes start from £1 and rise to £10,000. As a low roller these are a bit high for me, as I like to place multiple chips on the table. A 0.10 minimum stake would suit me better. Grosvenor does have other tables with 0.50 minimum stake and 0.10 on their Auto Roulette, which should suit lower stakes players better. 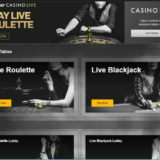 The new table is open 24 hours a day and can be played on Mobile, Tablet and desktop, both in and outside of the casino. “This builds on Grosvenor’s existing online offering — a dedicated, branded environment at our Malta studios with native speaking English dealers on several of the Grosvenor tables. “This is a key convergence project to extend the Grosvenor service to our players, to further build brand loyalty and to create a seamless in-club and online experience. From our very first Evolution dedicated tables we have pioneered online environments that replicate the in-club surroundings and experience. 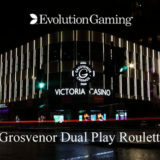 Dual Play Roulette truly delivers on that promise from a table at the heart of the gaming floor in one of our most popular and well-known clubs. 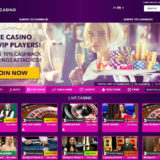 This is following a trend of live casinos streaming from land based casinos. All the major land based casino in London now stream at least one table. It started with the Hippodrome, followed by the Ritz and then Genting and now Grosvenor. This is great news if you’re visiting London as you’ll be able to check out the wheels in the casino and then play when you get home.